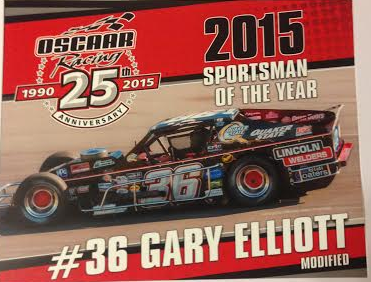 I just want to thank my racing peers in the OSCAAR Mods for voting me the Sportsman of the Year 2015. It is truly an honor to win such an award. Thanks from my heart. This was a great year for my team, thanks to Jason Legge who helped us immensely by providing a place for us to keep our race cars. 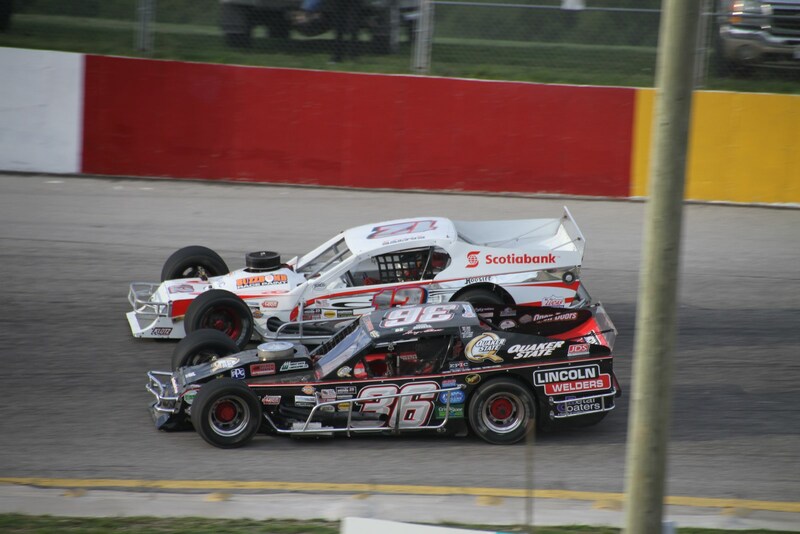 We finished 7th in the Sauble Speedway points and 5th in the Full Throttle Motor Speedway points. 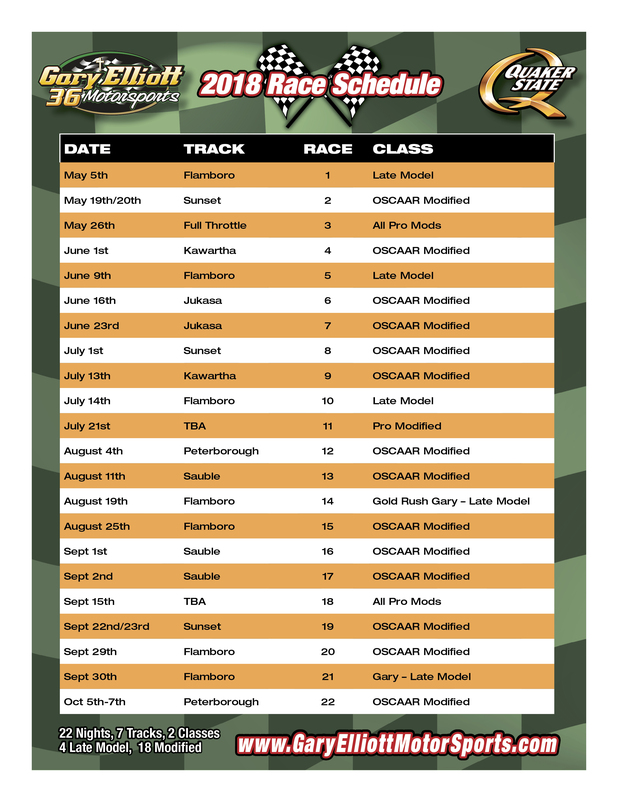 Our best accomplishment was the Modified OSCAAR series, finishing 4th in the standings. Special thanks to my crew for helping in 2015, especially Lloyd Lariviere who made 22 of 32 race nights. We are now in the process of rebuilding for 2016. We also have a big announcement to make, very exciting….and very soon. ……….sorry for the bad photo, taken with my phone. Heading to Ajax for the 2015 OSCAAR banquet. Looking forward to a night of relaxing, being with Billi, Lloyd and Suzette, and all my OSCAAR racing friends. We finished 4th in OSCAAR points, had a decent season, but struggled at times, still ran okay, but looking for a better run in 2016. Congratulations to the Champions Gary McLean and Kevin Cornelius. Picture of David Balych #12 and I supplied by TW Robarts. We had such a great car on Friday night, even Saturday during practice. Two new tires on Saturay night for the second heat wasn’t as good as we expected, but not bad. We had all day Sunday to make sure our car was ready to grab a podium finish for this final OSCAAR tour race. The only change we made was adding new tires from Friday night, and that should have made us even better…..but we lost it somehow. We knew what the stagger had to be and it was set before I went out. But by lap 2 the car just wouldn’t turn and we fell from 2nd in the feature to 12th and from 3rd in the points to 4th. I want to thank Lloyd and Billi for being there for the weekend and helping get our car ready to battle. Also, Tommy and Jacob Robb, along with Adam, Jason and Steve, I really appreciate your efforts as well, being a definitive part of our crew for the weekend. Just awesome. 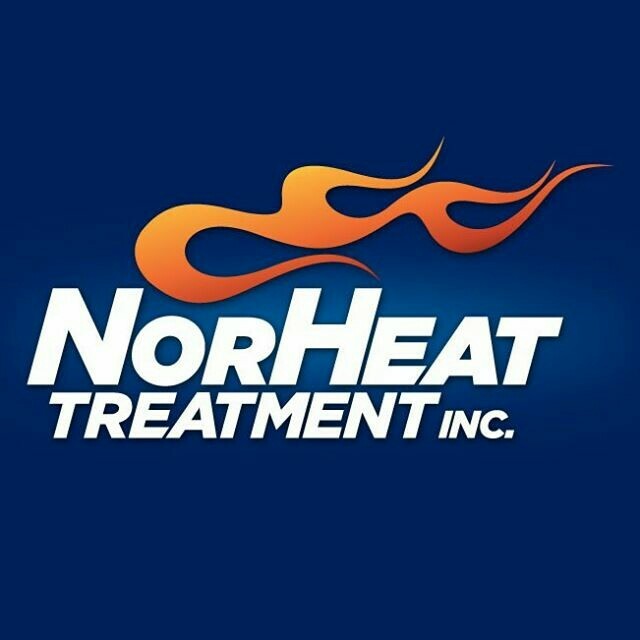 I appreciate Tommy Robb and his boys for offering to help us and feel bad for them that we didn’t have the run we all knew we should have, but it wasn’t meant to be, and so we will prepare for the next show on October 24th at Flamboro Speedway. The full story of our Autumn Colors weekend will be finished on Diary of a Season 2015 by the end of this week. After a quick rest getting caught up on some home business, we are off to Peterborough Speedway for Saturday night’s Mod race #6. We are currently 3rd in the points after a disappointing finish on Saturday night. Yes we did finish 5th, but if our car was pushing so bad I think we could have won it. I love Sauble and when a schedule is complete there are usually 80% of the races that I really feel I have a chance, and this was one of them. We did lead for a while, but too many restarts. Anyway, I love racing at Peterborough as well, so I am hoping for a strong finish at the Chase of the Colors tomorrow night. In this picture I am racing with the amazing Michael Hearty who travel every week from Sault Ste Marie to race with us. He is a great guy with a great family and crew. I am heading to Cookstown to play some darts with my cousins Kim and her husband Tom. Looking forward to that, always have a great time a Tom and Kims. Tomorrow night I will be driving a Pro 4 Modified for Cliff Hodgkinson at Flamboro Speedway. 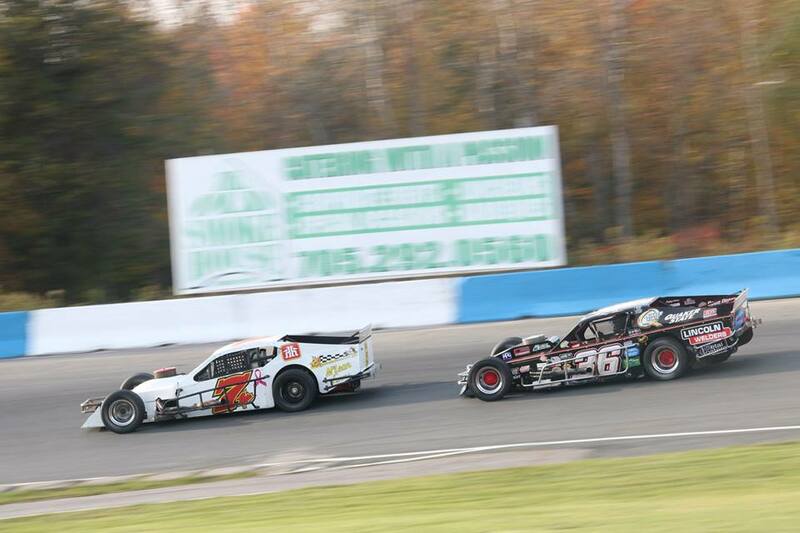 I drove for his father Dave 2 years ago and had a lot of fun in the wild fast Modified. 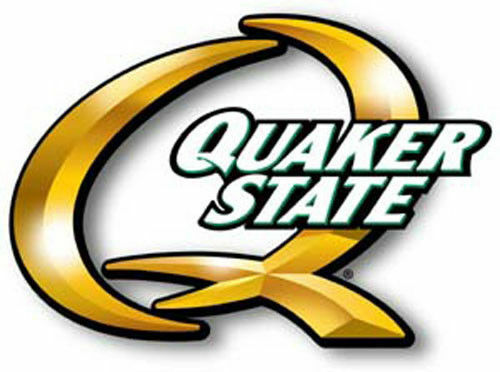 Special thanks to Cliff for letting me do up the Mod in my number and with Quaker State on it. Hats off to the Flamboro Pro 4’s and the Cliff’s Outlaw Pro 4’s for working together to increase car count…just what race facilities need. So expect 16 to 20 cars. Pit gates open at 3, races start at 6:30, with LOSC doing time trials at 5:30. Hope to see many of my friends and fans at Flamboro. 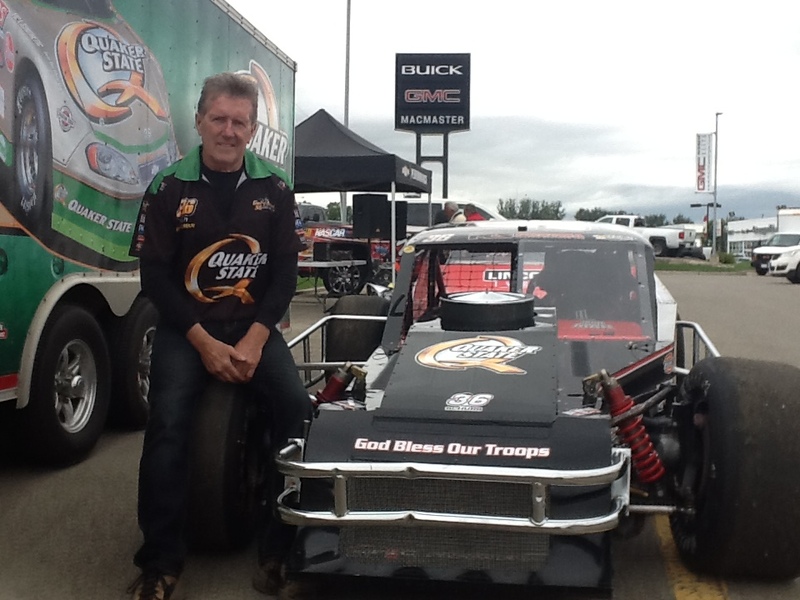 We had our Modified at MacMaster GMC in Orangeville on Saturday from 9:30 until it rained, around 3. Tom and Anne Walters were there as well, with his Late Model. Lloyd Lariviere, our crew member was there with me, he came from Barrie to help me and I appreciated it very much. It was a cold damp day but a few people came by. This is the 3rd year in a row for this event. Last year was cold and wet as well. WHERE IS THE 2015 SUMMER!!!! 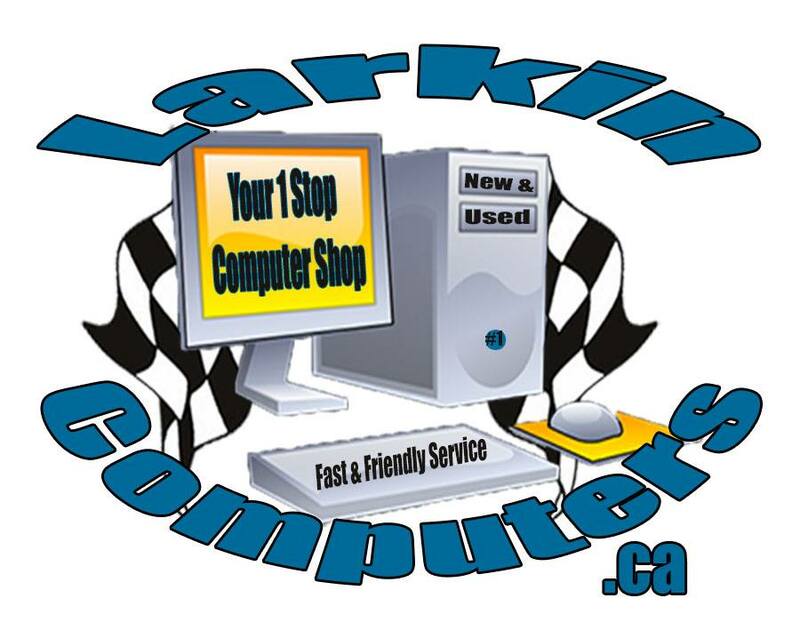 Our next race is this Wednesday at Full Throttle Motor Speedway, then Saturday we are racing at Sauble Speedway. 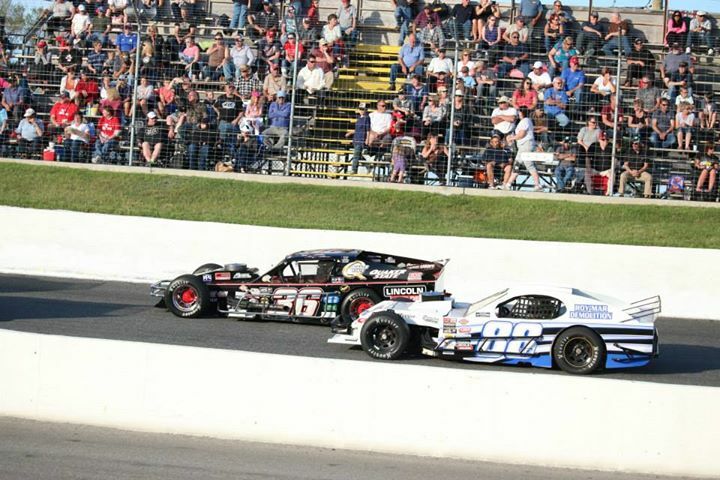 June 27th Sunset Speedway….OSCAAR Mods & Super Late Models…Plus Legends….Last Time I Had A Fun Battle With My Friend #88 Tommy Robb…Photo Courtesy Dan Little Jr.
We are praying for no rain Saturday, but the forecast isn’t looking good. Calling for rain from the North Pole to Antartica. Last year there was a similar scare, it was to be the mother of all rain storms. People rushed out getting sand bags, rubber boots, canoes, rafts, and fishing line….well!! !….that’s how bad it was suppose to rain, and in the end there wasn’t enough rain to scare the ant population. So I just hope that tomorrow we get this one in. There are many friends coming, including my good friend and step nephew Gary Doucette. Gary will have his own section, he has done amazing work and put a tremendous effort in getting a lot of his friends to come out. He is praying, and Gary is an amazing man with an incredible life changing story…….As well, my longest continually faithful crew member Steffon Zoskey, 1981 till 1999, will be bringing a host of bikers. What a blessing Steffon was to me and still is. I don’t see him anymore, seeing him tomorrow at Sunset would be great, it’s been 2 years since his biker club came to Sunset Speedway. This will also be the official release of the OSCAAR 25th Anniversary Souvenir Program. The book is beautiful, filled with stories and lots of pictures. So lots to celebrate tomorrow. …please Lord, no rain from noon till midnight…we pray. Amen. I want to say again, thank you very much to Jason & Michelle Legge for allowing me to call their shop my home. I now have a place for part of my museum, and my Late Model. I went to the Legger Race Shop on Tuesday and stayed until Thursday to get my bay and side of his huge shop set up. Thanks to Lloyd and Jared for their awesome help. There is much more to do, but we put a big dent in it. I do need to find a home for our Modified at least for the summer, and we hope to move it to the same shop where the Late Model is by October. This was a ton of work, and travel for me, but I have all my Quaker State memoribilia and product in a safe place, and I can call it home. Thanks again Jason, I am truly looking forward to helping you with your future racing endevours hoping I can contribute to your success in all you do. The Mod is stressed right now, but I promised him he won’t be outside much longer.